Jolly Amatya, a Nepali youth from Lalitpur, who has been currently living in Washington DC, has been appointed as the chairperson of the Youth Assembly at the United Nations. As the chairperson of the Youth Assembly, Jolly will lead over 1,000 participants from 97 countries. “I am very happy to get this opportunity. This leadership opportunity is significant in my life,” Jolly told Republica Online. Born as the eldest daughter to father Jagadishman Amatya and mother Krishna Amatya, Jolly has been the youngest and the first Nepali youth to become the chairperson of the Youth Assembly in the history of the United Nations. 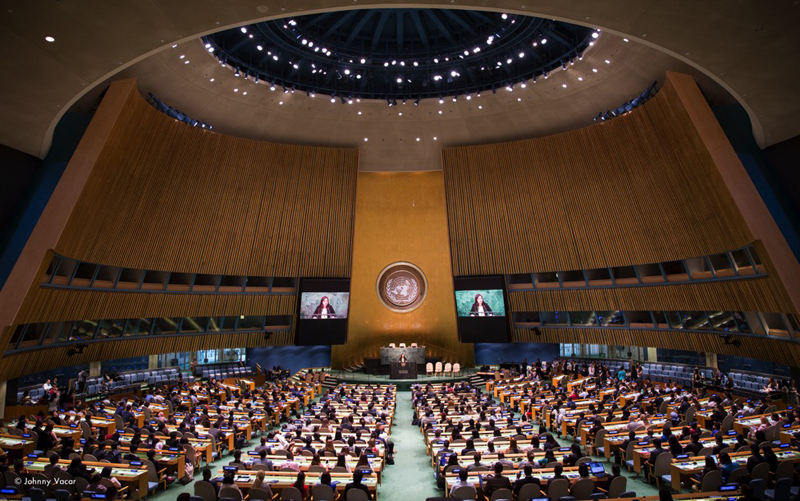 “The Youth Assembly at the United Nations is the largest and longest-serving assembly. This unique forum will encourage dialogues,” she said. 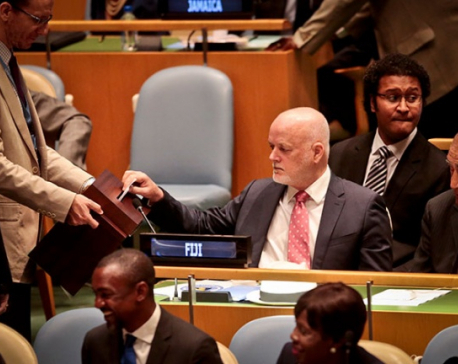 She chaired the assembly held at the UN headquarters in New York from August 10 to 12. Jolly has been representing the Youth Assembly since 2012. She was elected as the co-chair of the Youth Assembly in 2015. With schooling from St. Mary’s High School, Lalitpur, Jolly has completed her undergraduate study from Boston-based Harvard University.